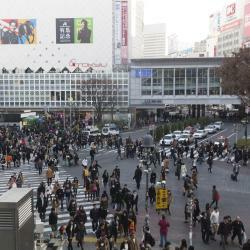 Looking for hotels near Asakusabashi Station? Providing free WiFi, ICI HOTEL Asakusabashi by RELIEF offers accommodations in Tokyo, a 19-minute walk from Ryogoku Kokugikan National Sumo Stadium and 2.1 miles from Tokyo Skytree. The cozy Tokyo Hikari Guest house offers private rooms and dorm beds, only a 1-minute walk from Kuramae Subway Station. Offering air-conditioned rooms in the Taito district of Tokyo, Grids Tokyo Asakusabashi Hotel＆Hostel is a 14-minute walk from Edo Tokyo Museum. Offering both shared and private rooms with free Wi-Fi and a non-smoking environment, Anne Hostel is a 5 minute walk from Asakusabashi Train/subway station. Boasting a bar and free WiFi, Hotel Route-Inn Grand Asakusabashi is located in Tokyo, a 10-minute walk from Edo Tokyo Museum. A 17-minute walk from Edo Tokyo Museum, APA Hotel Nihombashi Bakurocho Eki-Kita offers a 3-star accommodations in the Chiyoda district of Tokyo. Staff was sympathetic. The hotel is near a train/subway station. Room was quiet. Located a 4-minute walk away from Kodemmacho Train Staion, Ai Hotel Nihonbashi offers free WiFi throughout the entire property and a 24-hour front desk. 5 minutes walking yto several subway stations. APA Hotel Akihabara-Ekimae offers modern accommodations with free property-wide Wi-Fi. Guests can enjoy video-on-demand movies and request relaxing in-room massages for an extra cost. 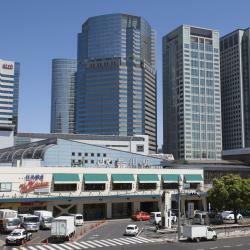 The hotel is very near Akihabara, Metro station, Yodobashi (just across the road). Pearl Hotel Ryogoku is conveniently located 1-minute walk away from JR Ryogoku Station and a 3-minute walk from the Ryogoku Sumo Hall. - Just across the road of JR Ryogoku station. - Clean room. APA Hotel Nihombashi Bakurocho Ekimae is located in Tokyo, within 0.9 mi of Ryogoku Kokugikan National Sumo Stadium and 1.2 mi of Edo Tokyo Museum. 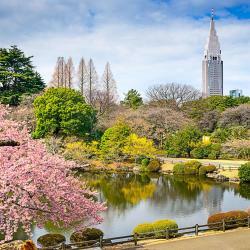 Overall is a great choice for staying in Tokyo. Opened in April 2017, Comfort Hotel Tokyo Higashi Kanda offers accommodations in Tokyo.There is a 24-hour front desk and free luggage storage and free WiFi is provided in all guest rooms. 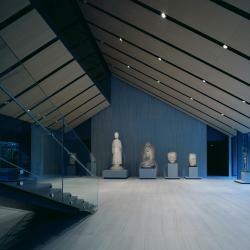 The room was spacious by Tokyo standards and very contemporary furnishings. 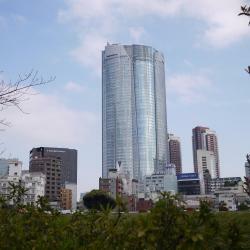 Hotel Higashi-Nihonbashi offers rooms with free wired internet, a 3-minute walk from Higashi-Nihonbashi Subway Station. It features a 24-hour reception and drink vending machines. 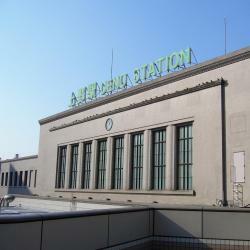 People are talking about Asakusabashi Station! Explore guest hotel reviews featuring "Asakusabashi Station"
The location is very good, it's 3-4 mins walk from Asakusabashi station, which was good for us, as there's a direct line to both Haneda and Narita airports (and we had to use it both ways). The room was ok (the size was decent for a japanese hotel room), though the bathroom was smaller than in other hotels. Great location near Asakusabashi station and if you depart for or arrival to Haneda Airport, it is only one direct train (without transit) from Airport to the property. 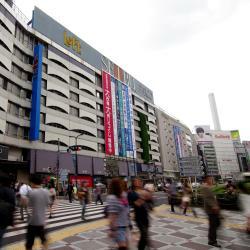 just steps away from Asakusabashi Station and Akihabara (just 15 minutes less walking).